1. Grease an 8 inch pie dish. 2. Sift the flour and cornstarch into a large bowl and rub in the butter with your fingers until the mixture comes together like bread crumbs. Stir in the sugar and a pinch of salt. 3. Next add in the beaten egg and stir with a knife using a cutting motion until the mixture pulls together. Add water as necessary until the dough when pressed, holds together. 4. Place the dough on a floured surface and press into a ball. Using a rolling pin, roll the dough out smooth and flat. 5. Place flattened dough over the top of the pie pan and shape to the side of the pan. Use a knife to cut off the excess around the edge of the pan. 6. Use the remaining dough and roll out into another flat disc. Cover in plastic wrap and place in the fridge along with the prepared pie pan while you make the filling. 7. Melt the butter in a large frying pan and add the apples. Toss together, then stir in the lemon juice, sugar, nutmeg and cinnamon and cook for 10 minutes or until apples begin to soften. Lastly sprinkle in the flour, stir, bring to a boil and cook until the mixture begins to thicken 2-3 minutes. Pour into a bowl and let cool. 8. 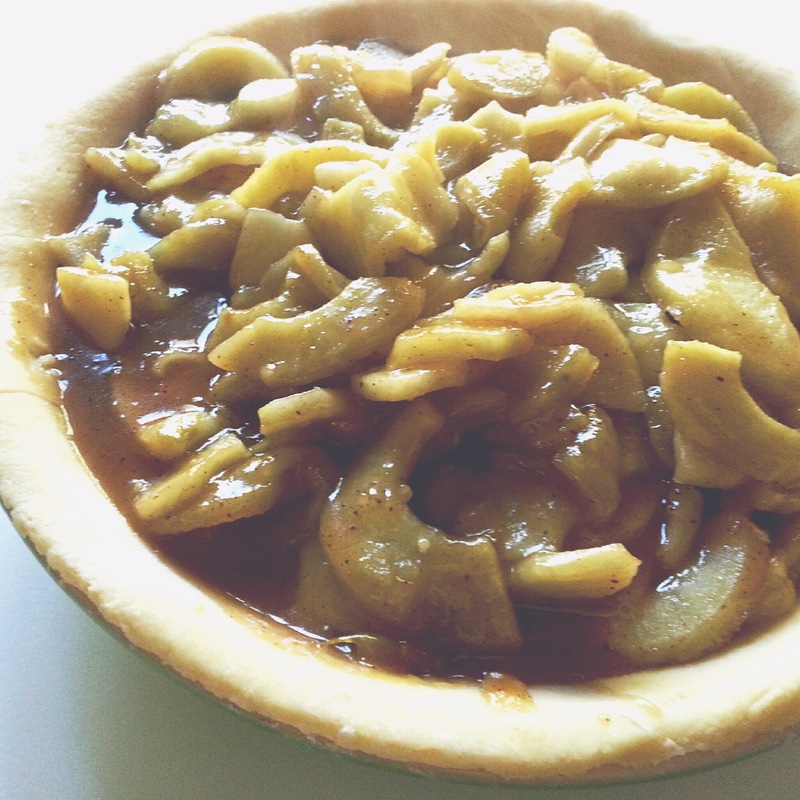 Put the apple mixture into the pie shell. Then cover with the pastry disc. Trim the excess using a knife like in step 5. Press the edges together with your finger or a fork. 9. 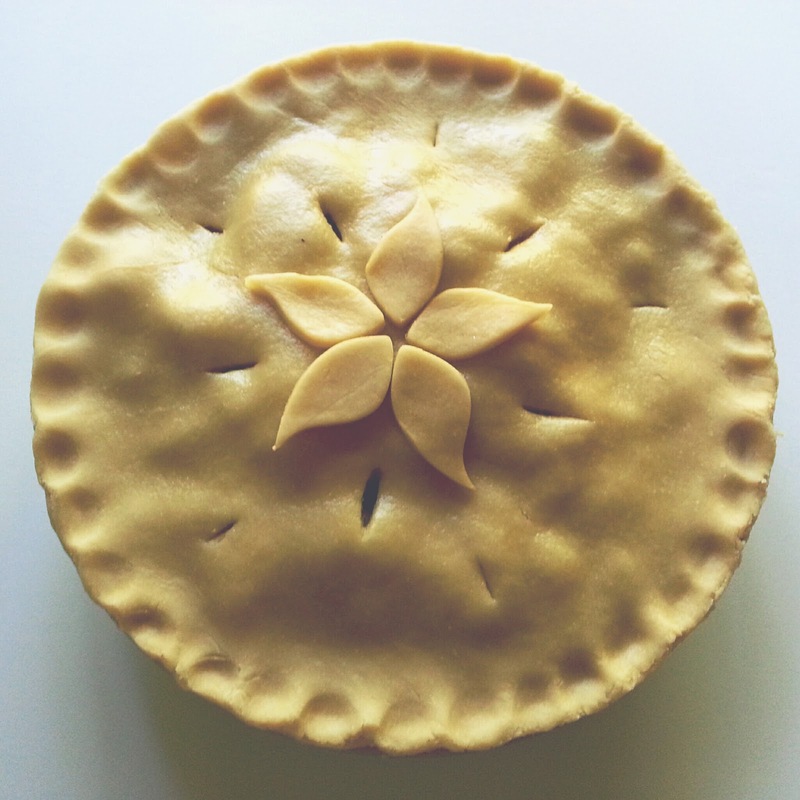 Make slits in the top of the pie with a knife to allow steam to escape. 10. Optionally you can cut out shapes with cookie cutters from any remaining dough and decorate the top of the pie as you'd like. 11. Brush the top of the pie with milk and sprinkle with raw sugar and place in a preheated oven at 400° for 35-40 minutes or until the crust starts to brown. Allow to cool slightly before slicing. Enjoy! *This tool is amazing! 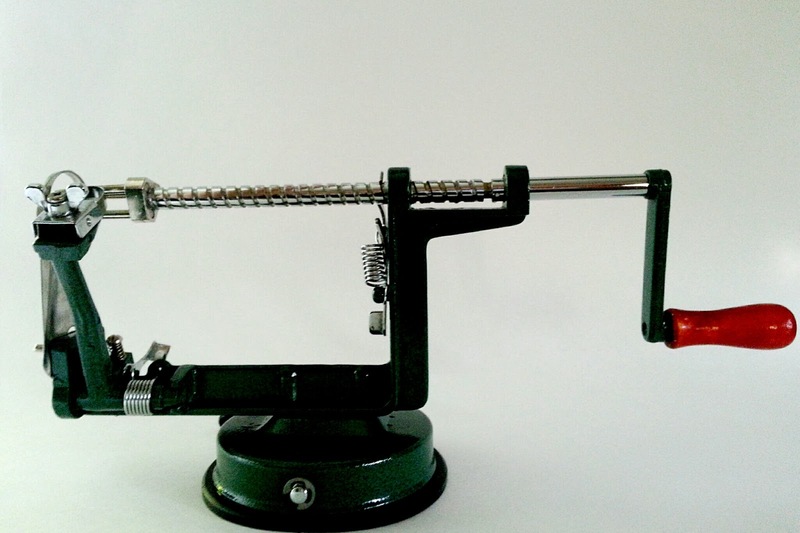 It peels, cores and slices in a spiral, an entire apple at the same time! This is what I use to prepare my apples for pie making. 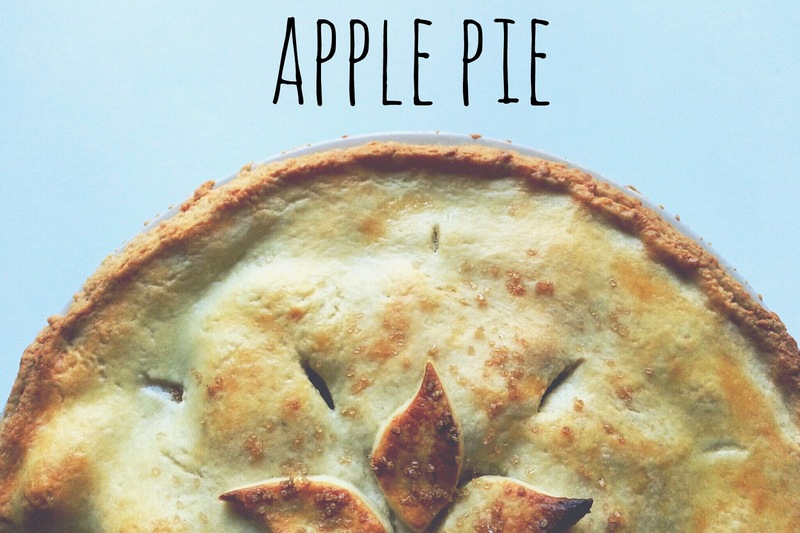 Just cut each apple down the middle after you remove it from the peeler to get perfectly thin slices for your pie.